Once more Premium Jet looks back at a successful year thanks to the outstanding performances in the areas of customer service and support covering all aspects of aircraft management (incl. maintenance supervision and flight planning) as well as in the charter department. Our team works with fantastic engagement in full compliance with all applicable regulations delivering the proverbial Premium Jet quality. This fact is underlined by the figures of our charter aircraft: Our current fleet leader, the Gulfstream G550 HB-JOE flew more than 500 charter hours in the second half of 2017 alone – in a very demanding economical environment. We were honored to welcome first-time guests on board and in fact the number of our loyal repeat customers gives us the confidence that the combination of highly professional crew members, our excellent on-board-service and our comprehensive services before and after the flight are highly appreciated. Let’s not forget that our Challenger 300 HB-JGQ flew around 400 hours in the same six months. Being aware of the fact that the CL 300 is „just“ a midrange business jet makes the achieved flight hour number even more remarkable. And why’s that? Exactly because of the same reasons listed above for the Gulfstream. Competition in the private aircraft charter market is fierce and forces all of us at Premium Jet to strive for peak performance each and every day to ensure customer satisfaction. The 2017 flight hour number of our fleet indicates that the efforts are going in the right direction. We promise to go the extra mile – and maybe even a bit further – also in 2018 thus aiming to continuously meet and exceed our valued customers’ expectations. 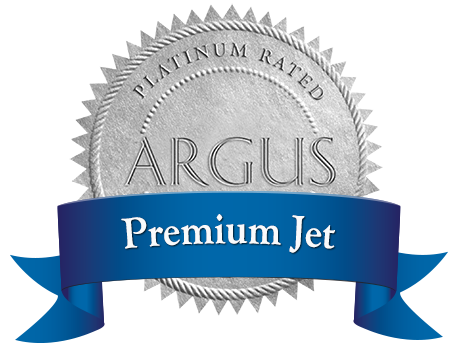 Premium Jet – convincing through highest professionalism and quality year after year.